And now we continue with part two of our Whovian exploits in the paragraphs below. The Doctor’s ability to travel through time and space in his TARDIS means that there is plenty of opportunity for a wide variety of settings. The Doctor seems to have a particular fondness for and fascination with Earth, and his visits to historical periods in Earth’s history provide some interesting (and sometimes cringe-worthy, especially if you are a historian) interpretations of events and biographical explorations. Some of the most memorable episodes are those that feature notable human personalities. For example, the “Vincent and the Doctor” episode could be described as historical fiction given its representation of Vincent Van Gogh’s life and his personal demons. In his many travels, the Doctor has seen the formation of the planet (178 – The Runaway Bride) and he has also seen the final destruction of the Earth when it is absorbed by the expanding Sun (158 – The End of the World). In between these two extremes, the Doctor has visited many important moments in human history on Earth. The Doctor meets a tribe of cavemen from 100,000 B.C. 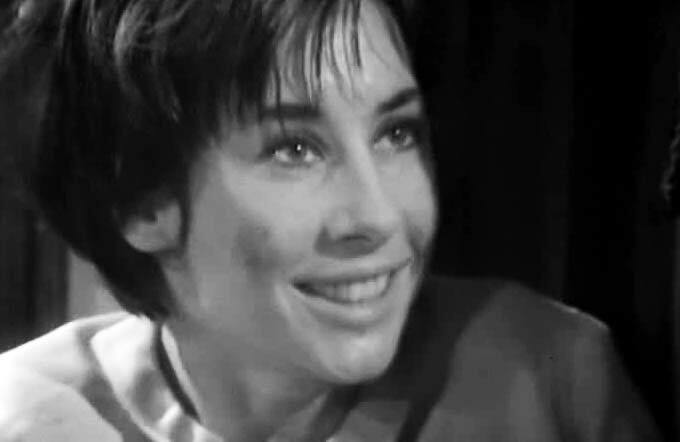 (1 – An Unearthly Child), travels through Central Asia with Marco Polo (4 – Marco Polo), encounters the Aztecs in 15th-century Mexico (6 – The Aztecs), visits Depression-era New York City (182a – Daleks in Manhattan), witnesses the eruption of Mount Vesuvius (190 – The Fires of Pompeii), and advises Winston Churchill during World War II (205 – Victory of the Daleks), to name just a few of his adventures in Earth’s past. The Victorian era also seems to be a favorite destination: the Doctor meets Charles Dickens in 1869 (159 – The Unquiet Dead) and Queen Victoria in 1879 (169 – Tooth and Claw). 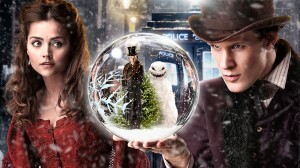 Several other stories are set in the Victorian era, such as The Evil of the Daleks (36), The Talons of Weng-Chiang (91), and The Snowmen (230). Some human characters have noted the Doctor’s propensity for appearing at destructive moments of Earth’s history and wonder if his appearance always foretells death (157 – Rose). Of course, the Doctor has also visited many time periods in Earth’s future, and it is interesting to see these imagined paths for humanity, including the rise and fall of various forms of government and the devastating effects of climate change, pollution and the depletion of energy resources. Whether or not the Doctor is in fact the last of the time lords, it can probably be agreed that he is a lonely soul. After “borrowing” the TARDIS and running away from his planet, he sought out traveling companions. Some “Doctor Who” experts refer to the companion as a sidekick or as a foil to the Doctor’s exploits. They claim the presence of companions act as an audience surrogate and give a human audience the ability to live vicariously through the companion(s). As you might imagine, there are more companions than there are Doctors. After all, he is over 1000 years old. It’s hard to say exactly how long each companion stays with the Doctor, but the more significant companions appear in about 10-20 episodes. 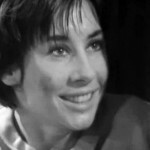 The first companions are the Doctor’s granddaughter, Susan Foreman, and two unrelated adults, Ian Chesterton and Barbara Wright, both school teachers. The fourth Doctor, played by Tom Baker, takes on a robotic (and laser-equipped) dog known as K-9, and aliens Adric, from the planet Alzarius, and Nyssa, from the planet Traken. Several British military personnel, including Brigadier Lethbridge Stewart and Sergeant John Benton, are officers of UNIT (United Nations Intelligence Taskforce) and appear in various episodes with the second and third Doctor. They aren’t officially known as companions because they don’t travel with the Doctor in the TARDIS for more than one or two episodes. Among a very long list of human companions, Polly (who, unfortunately, has no last name), Jo Grant, Sarah Jane Smith, Rose Tyler, Mickey Smith, Donna Noble, Martha Jones, Amy Pond, and the most recent companion, Clara Oswald, all hail from Earth. One could argue that Clara’s Earth origins are debatable since her first appearance takes place inside a Dalek and by the name Oswin Oswald, not Clara Oswald. 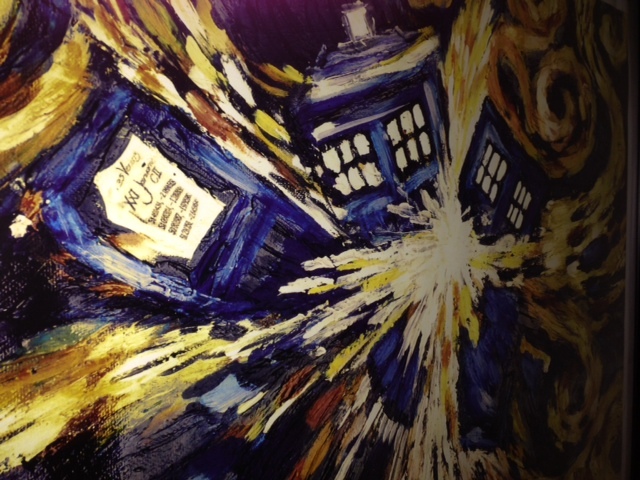 We hope you find this blog enticing enough to prompt your first encounter with Doctor Who. Please don’t ask us to recommend one; there are just too many excellent episodes to choose from! Watch the 50th anniversary “Doctor Who” episode, “Day of the Doctor,” which airs today at 2:50 p.m. (EST) on BBC America. Contributors include Laura Bang, digital and special collections curatorial assistant, Special & Digital Collections team; Luisa Cywinski, editorial coordinator, Communication & Service Promotion team and team leader, Access Services; Demian Katz, library technology development specialist, Technology Development team; Sarah Wingo, team leader, Humanities II and subject librarian for English and theatre.